How do I remove a fixture request that has been filled? Step 1. Login to your SOCS control Panel. Step 2. Go to the Fixture Requests menu option. Step 4. 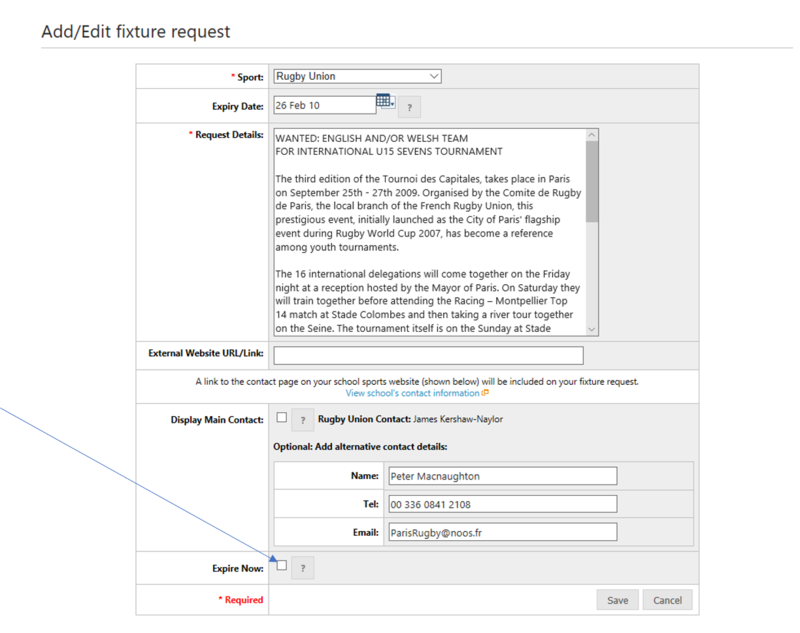 Edit the fixture request you want to remove and tick the Expire Now check box (shown by the red arrow in screen shot 2 below) and then save. You can edit any expired fixture request, for insance should you wish to save time by making use the same text again. To do this simply untick the expire check box and save. 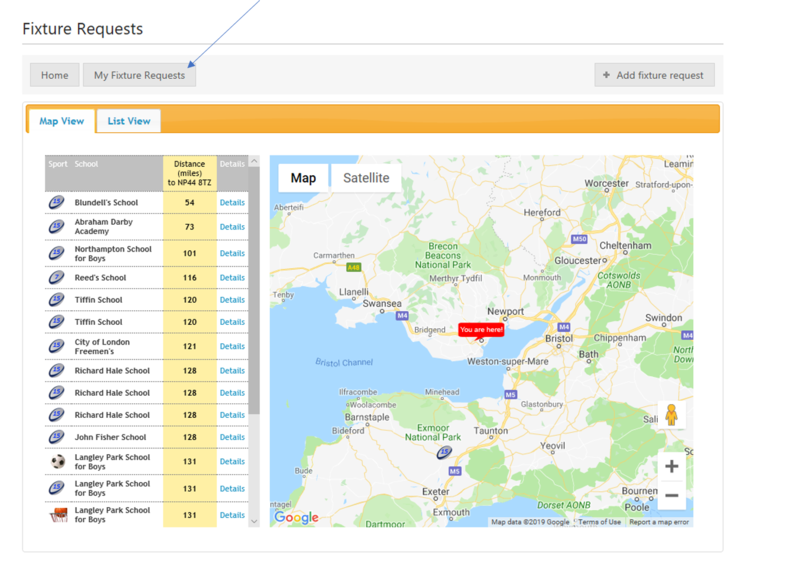 Your fixture request will then reappear on the map and listings.